Aren't spinning doner kebabs, shawarma, gyros just hypnotic. I can't stop but stare at them through the restaurant windows. The glistening, charred crust with juices dripping between the layers are just too much of a temptation. They are not exactly healthy choices because they contain a fair amount of fat. Unfortunately, making them at home is not exactly doable because that upright, spinning rotisserie is not something most people own. 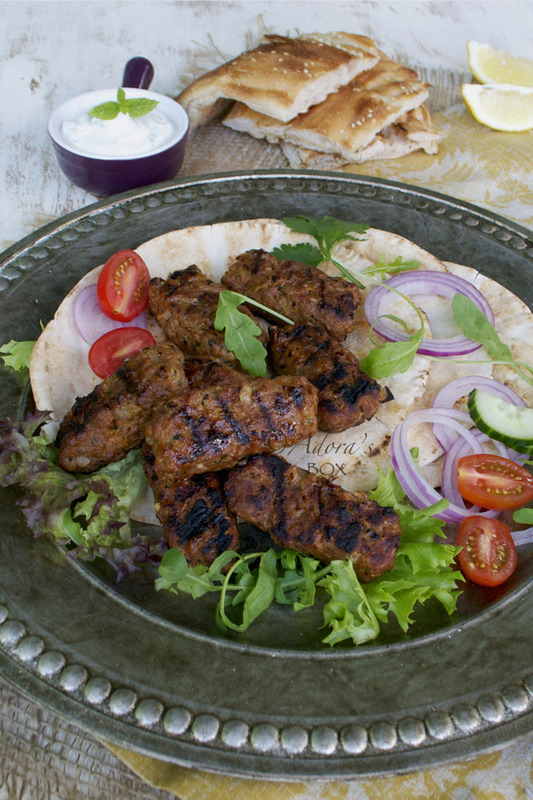 A similar flavour can be made in a miniature form: kofta kebabs. 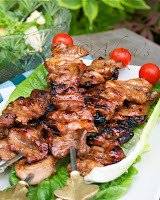 This is my version, aimed at toning down our barbecue feasting by using leaner turkey meat instead of lamb or beef. 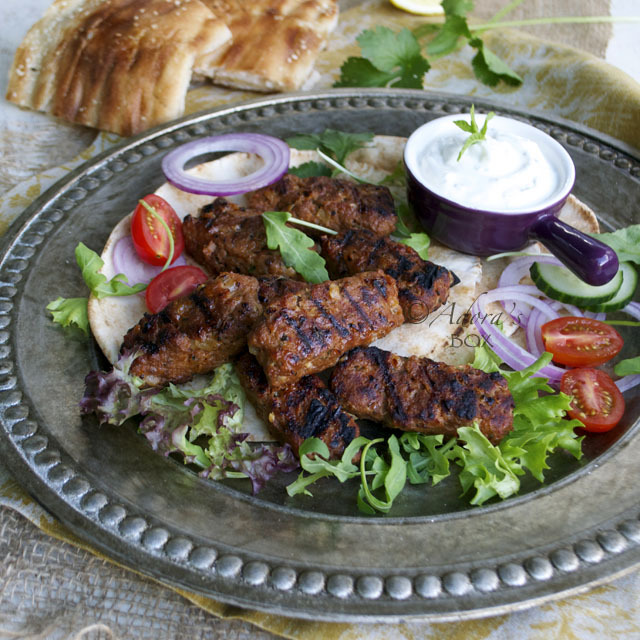 The combination of herbs, spices and yoghurt give these kebabs their rich flavour and soft texture. They are so delicious tucked into pita pockets with fresh salad greens, onion rings and a drizzle of creamy minted yoghurt. This recipe will make 4 servings. Put the chopped onion and olive oil in a bowl and microwave for 3 minutes. Put this in bowl and add the rest of the ingredients, except for the extra olive oil. Mix thoroughly then chill in the fridge for at least half an hour to let the flavours develop and let the mixture firm up. Divide the mixture into 16 portions. 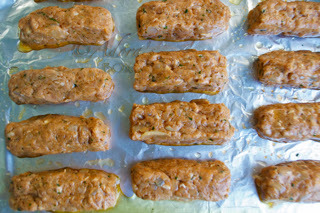 With oiled hands, shape each portion into small sausage shapes. 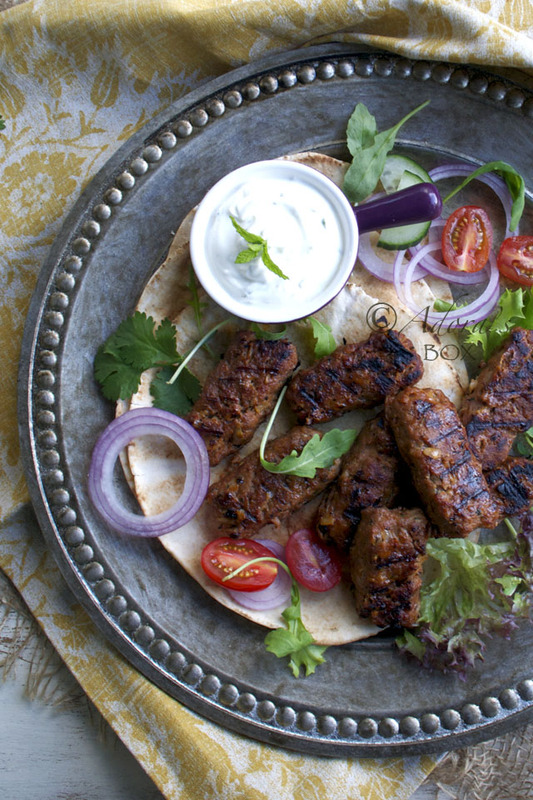 Arrange the kebabs on a sheet of foil that has been greased with the olive oil. Light up your barbecue or preheat your grill (400° F/200° C). 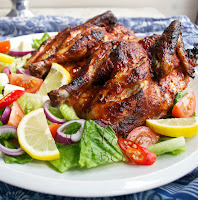 When ready, set the foil directly on the barbecue grill or if using a grill, on a grilling pan. Cook for 7 minutes on each side or until browned. These kebabs are quite soft when uncooked. If using a barbecue, cook for about five minutes until the meat firms up then transfer directly on the grill. Allow 1 pitta bread and 4 kofta kebabs per person. Serve the salad and the minted yoghurt on the side. hmmm....looks real delicious with that yogurt dipping! I love your version of kofta kebabs. I would love to see them sitting in front of me right now!!! What a wonderful recipe! 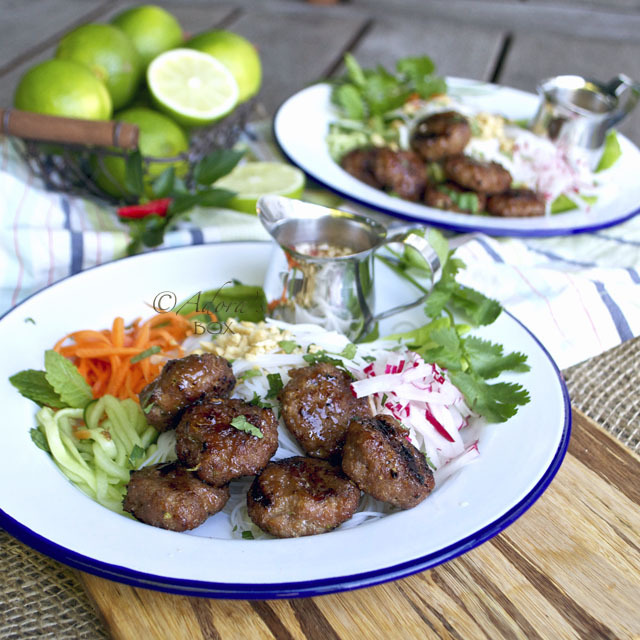 These koftas look delicious and so easy to make. I love that they are grilled. Thanks for sharing this wonderful recipe!